A hat-tip to the now-estimable Southern Oral History Program, which once operated out of the smallest room on the campus of UNC-Chapel Hill, back in the early 1980s, when I worked there briefly as a researcher/cataloguer. The program, founded 40 years ago and directed for decades by Prof. Jackie Hall, has grown into a powerhouse of teaching and conducting oral history. Among many projects is one involving journalism history. The SOHP’s “Media and the Movement” blog contains links to audio clips, photos, video, and more. 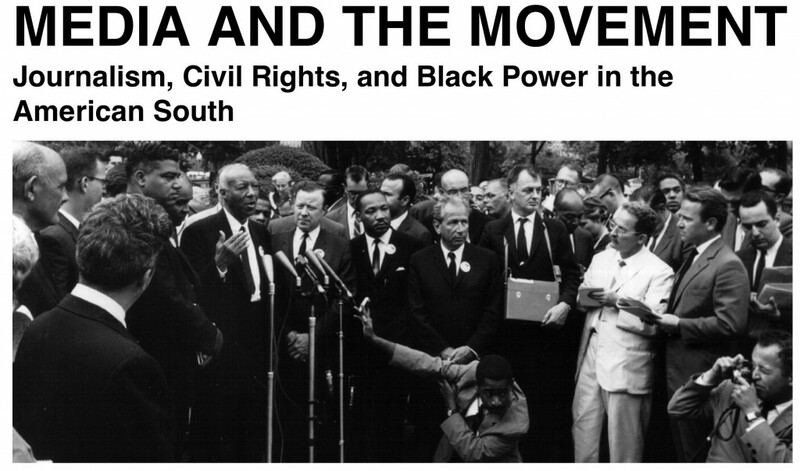 It’s a great resource for anyone interested in the journalism of the “long civil rights movement” in the United States.